Seeing that we manufacture mainly for the Hospitality Industry, our prices are influenced according to quantities, design, size, destination of delivery and fabric choice. You would need to contact/email us for quotations. You will find an “enquiry” link next to the product you wish to enquire about on our Home Page. Our price list is for whole sale and retail purposes only. 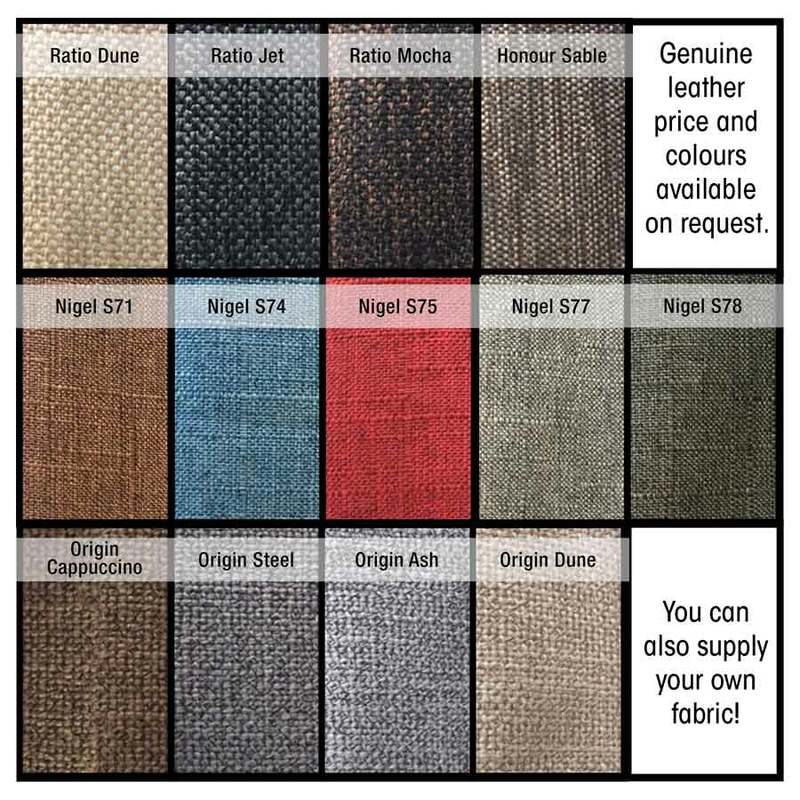 Below please find our standard fabric selection you can choose from. This is our entry level fabric options with fixed costing in one of our standard designs. Customers are also welcome to visit any of the below fabric houses which are situated in most parts of South Africa and select fabric of their own choice. We will then be able to give you a definite quote on your selection of fabric and style. Click on respective logo’s below to view their websites. You also have the option to supply us with your own fabric and we will quote you on a “Cut, Make & Trim” basis which is for raw materials and labour. It is for the customer’s own account to courier the fabric direct to our factory. Most of the fabric houses will deliver directly to us.